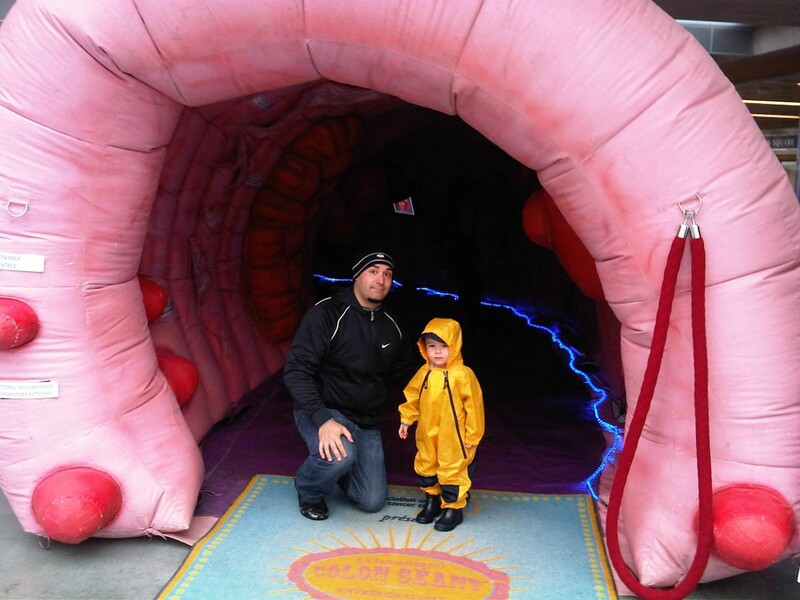 BREAKING NEWS: Attack of the 40-foot colon at Robson Square in Vancouver! It’s 40-feet long, 8-feet high and shockingly pink- and it’s taking over Robson Square in downtown Vancouver. No casualties have been reported- in fact, it could be saving lives! 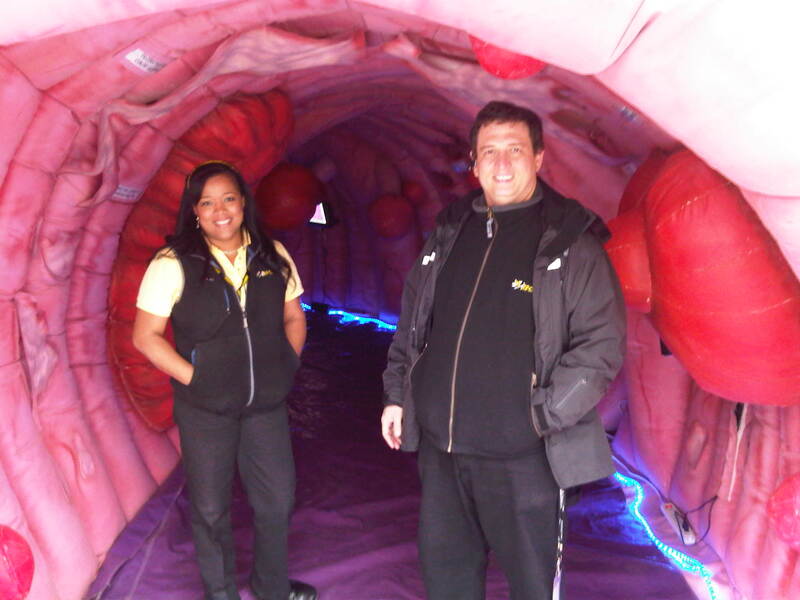 That’s right, Vancity: Colorectal Cancer Association of Canada’s Giant Colon Tour is making its first ever public visit to British Columbia. Come on down and learn about how your can prevent, treat and beat colorectal cancer! UPDATE: We received word that this adorable little fella made it safely through the cecum– and witnesses believe his proud papa may have learned a thing or two along the way!